Management Women Members and Guests Welcome! The store is beautiful and the clothes are reasonably priced. The only problem is you want to take everything home with you! From casual wear to a fancy night out…they have it all! Please join us for a fine night of shopping in the boutique while you enjoy a glass of wine and socialize. 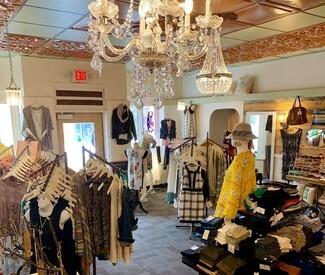 After shopping, please join us at the Chatterhouse (connected to the boutique) for some dinner and awesome conversation. We can show each other our fun and new spring purchases. Cost: Dinner on your own.